ViviChrome Chromis glass, LEVELc-1000A Elevator Interiors, LEVELe-103 Elevator Interiors, Stainless Steel and Bonded Quartz. The Mother Baby Center at Abbott Northwestern Hospital and Children’s Hospitals & Clinics is a beautiful new birth center that merges the Labor, Delivery and Newborn nurseries from Abbott Northwestern Hospital with the Neonatal Intensive Care Unit, Special Care Nursery and Infant Care Center from the neighboring Children’s Hospitals and Clinics of Minnesota. This unique collaborative effort brought together the best of both hospitals, blending two different delivery care models with two distinct brands to form one holistic, centralized center–a $50 million facility especially created for women with high-risk pregnancies and babies in need of special care. Designed by HDR Architecture, Inc., the 96,000 square-foot Mother Baby Center offers a dedicated entrance for expectant moms and families and is focused on keeping mothers and infants together during their care in a healing, welcoming and state-of-the-art space. The neighboring facilities at Abbott and Children’s have long had a cooperative relationship and have been physically linked by a tunnel, but this project marks their first true joint venture. Previously, when babies were born ill or prematurely at Abbott, they were whisked away from their mothers to receive care at Children’s Neonatal Intensive Care Unit across the street. The Mother Baby Center will allow both mother and baby to be in the same facility, easing some stress on new families. The four-story building houses 13 spacious labor and delivery rooms, three operating rooms, 44 post-partum rooms, and a 24-room special care nursery along with two newborn nurseries, a six-room maternal assessment center, family sleep rooms and more. HDR immediately recognized the need to make the Mother Baby Center a healing environment and extensively researched how design can impact health and wellness. The exterior of the building is distinguished with bright bands of color per floor and a unique, shifting design. While those themes are carried throughout the interior, the designers felt that additional items were needed to create the right atmosphere. They were also tasked with taking what can be a very intimidating and stressful setting and making it a warm, nurturing environment for both mother and child. HDR researched various types of flowers and colors and what they mean to different spiritualities and cultures, to ensure that the varieties they chose would have only had positive, comforting connotations for patients and visitors. Once the floral theme was approved, featuring blue hyacinths, yellow and raspberry spider mums, and orange chrysanthemums, they had to plan how to best integrate the theme throughout the center, not only aesthetically, but practically. 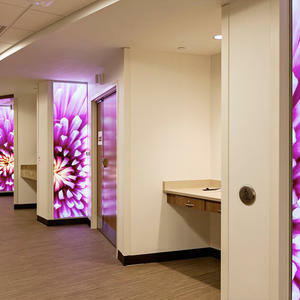 One of the solutions was to have large-scale floral photos displayed in illuminated panels. It was right around this time that Mike Konieczny, Forms+Surfaces Territory Manager, met with HDR to discuss elevator interiors, and happened to show them a sample of our LightPlane Panels. In addition to the time and cost savings, other key benefits included the even light distribution that LightPlane offers with no “hot spots” or fading, its slim profile, complete design flexibility, and ease of maintenance. The LightPlane Panels serve a functional purpose by helping to light the hallways, and an aesthetic purpose by serving as artwork (eliminating the need to buy additional art), plus a directional purpose by serving as a wayfinding system. 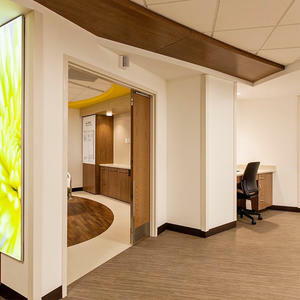 HDR specified 37 LightPlane Panels, all 81" high and ranging in width from 12" to 48". Some of the illuminated floral panels are staggered along curved corridors in the center so that when viewed from one end, the panels seem to merge into one spectacular floral image. HDR partnered with Kurt Johnson Photography to provide the vivid, large-scale floral photos to use in the LightPlane Panels. Johnson typically shoots with a shallow depth of field, where part of the close-up is in extreme focus and the background is diffused. This shoot needed a bigger depth of field than usual since the photos would be so large and backlit. Except for a few shots that had to be taken during the winter, most of the flowers were shot outdoors, in natural light, from Carolyn Johnson’s own abundant garden. The photos were taken with a Canon 23-megapixel camera and had to be precisely sized, cropped, and saved at a very high resolution, via special software to produce the final image files. Each image then became the graphic interlayer between two transparent lites of glass that comprises Forms+Surfaces ViviGraphix Spectra glass, which was used within the LightPlane Panels. Johnson said, “The LightPlane Panel is a whole different way of displaying artwork. It makes two-dimensional images seem three-dimensional; it adds depth. 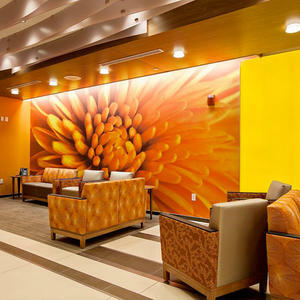 Now, when patients and visitors come off the elevator, they are welcomed to each floor with a specific color and flower theme. Additionally, each floor is broken into specific “neighborhoods” with its own color and flower. 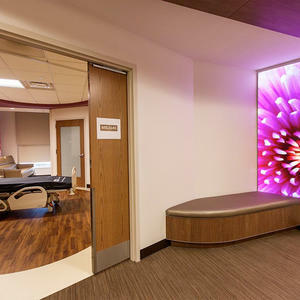 This helps patients find their way back to their rooms and establishes a little sense of home. Additionally, patients used to complain about the bright hospital corridors at night. Now the LightPlane Panels can be dimmed while still providing direction. 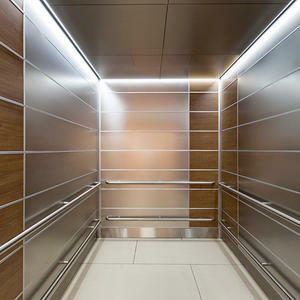 In addition to the LightPlane Panels, Forms+Surfaces also provided elevator interiors for the facility. 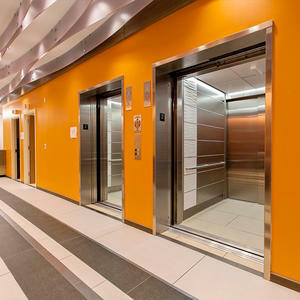 Robertson said that her office doesn’t ordinarily work on elevator interior projects since typically there is not a lot of design involved with these environments. But in this case, it was important to create interiors that were not only durable and functional but also welcoming and elegant like the rest of the space. For the public elevators, HDR selected Forms+Surfaces LEVELe-103 Elevator Interiors, using White Bonded Quartz in Kalahari pattern and stainless steel in our High-Durability Seastone finish. 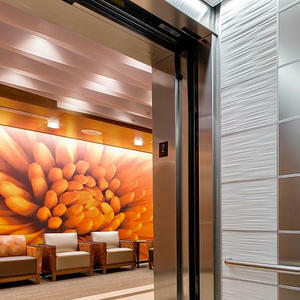 The patient elevators also feature LEVELe-103 Elevator Interiors that incorporate a warm custom wood laminate in the accent panels along with our Seastone stainless steel. 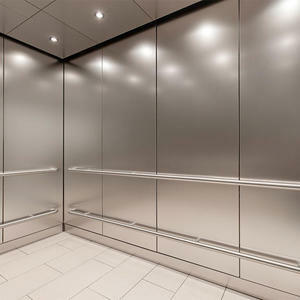 The more utilitarian staff elevators employ our LEVELc-1000A interiors, done entirely in Seastone stainless steel. From the moment a patient, visitor or staff member steps into an elevator, to when they emerge at their specific floor, they are treated to a seamless and soothing design experience. Everything in the new center works together for maximum impact. According to McLellan, the Mother Baby Center had the goal of being full to capacity within five years, but two days after its opening, they were already turning people away. Everyone involved in this collaborative effort seems to agree that this project brought out the best in them, coming together to provide a special place of healing for newborn babies and their mothers. We agree. Forms+Surfaces was thrilled to take part in this wonderful project, and seeing our LightPlane Panels put to such good use. If you are interested in learning more about our LightPlane Panels or any of our products, please visit us at www.forms-surfaces.com.